A Chinese man who claims he is wanted by the Chinese government because he is a Christian was arrested last week in Phnom Penh after fleeing authorities in Shanghai, despite having protection from the UN, aid workers confirmed Saturday. He is the fourth person under the care of the UN High Com­missioner for Refugees to be seized by Cambodian authorities since July, when a Vietnamese monk disappeared and was thought to be deported. Two members of the outlawed Falun Gong movement were arrested in August and deported to China. Kan Ly Kuy was in Cambodia waiting for an UN decision on his refugee application, which was filed in June. He is currently considered a “person of concern” by the UNHCR, according to documents stating he is under the care of the agency. He fled Shanghai following the arrest there of several fellow workers in a Christian church, he said in an interview in October. “It was because we were with the church,” he said. 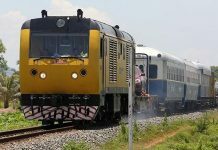 But he was arrested Friday in Koh Kong, where it is believed he was trying to leave Cambodia, police and aid officials confirmed. He is being held at the Immig­ration Police department, an aid worker said Sunday. In October, Kan Ly Kuy said he feared he was being hunted by Cambodian police and Chinese Embassy officials. He said he was hiding in a private house in Phnom Penh, but had no passport or other travel papers. Kan Ly Kuy said he entered Cambodia through Vietnam after paying another man $1,000 to take him across the Chinese border. Aid workers confirmed earlier that Kan Ly Kuy had applied for refugee status, but was rejected once. He was given UN protection while he appealed the UN’s decision, officials said. Kan Ly Kuy’s arrest came the day of the arrival of Chinese premier Zhu Rongji, who is attending the Asean Summit here. Li Guojun, 46, and his wife Zhang Xinyi, 39, were arrested in August in Phnom Penh, where they had lived since 1999 and worked as teachers in a local Chinese school. They were deported Aug 9 because of links to the outlawed Falun Gong movement, according to a city police chief. Those deportations came less than a month after Vietnamese religious dissident Thich Tri Luc, who fled to Cambodia and was given refugee status by the UNHCR, disappeared in Phnom Penh and was feared deported. The New York-based human rights group Human Rights Watch claims that the Cam­bodian government has also deported around 500 Mon­tagnards who fled to Cambodia from Vietnam’s Central High­lands—the scene of a government crackdown on religious and land rights demonstration in February 2001. It also demanded the government here stop interfering with the UNHCR’s work by arresting protected people. 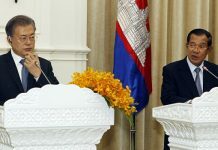 The government has defended itself by saying all of those seized were in the country illegally, and that Cambodia has a right to defend its borders. But countless immigrants continue to flow across the country’s porous borders, and all of those deported were from countries that have been patrons of Cam­bodia. 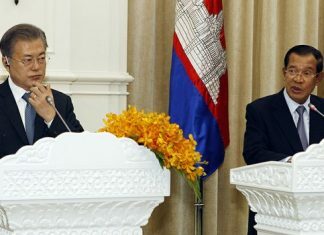 Both China and Vietnam maintain special relationships with Cambodia.